KONG Cat Connects Benderz is a bendy toy that can be attached to nearly all surfaces. This allows you to adjust the play experience as you wish. 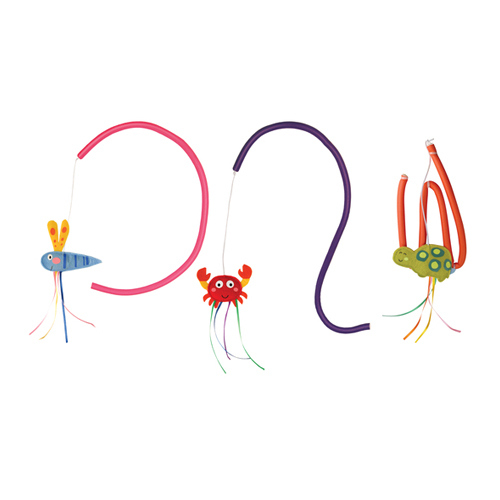 The Benderz from KONG Cat Connects are cheerful and challenging cat toys. These toys have a special quality, as they stick to almost all surfaces. Because you can adapt the play experience, it stays interesting and your cat remains active. These toys contain catnip. Have you used KONG Cat - Connects Benderz before? Let us know what you think about this product.